A maiko is a geisha in training. 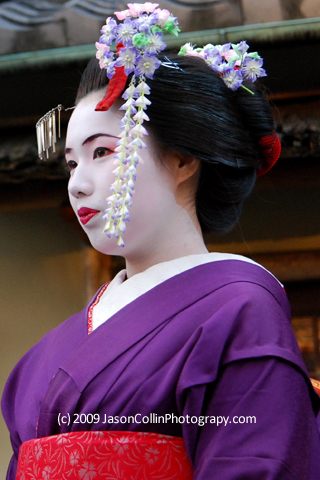 I photographed this maiko in Kyoto, Japan around New Year's 2009. She was walking with another maiko along a well-known street for possibly spotting maiko heading out to their evening's work.